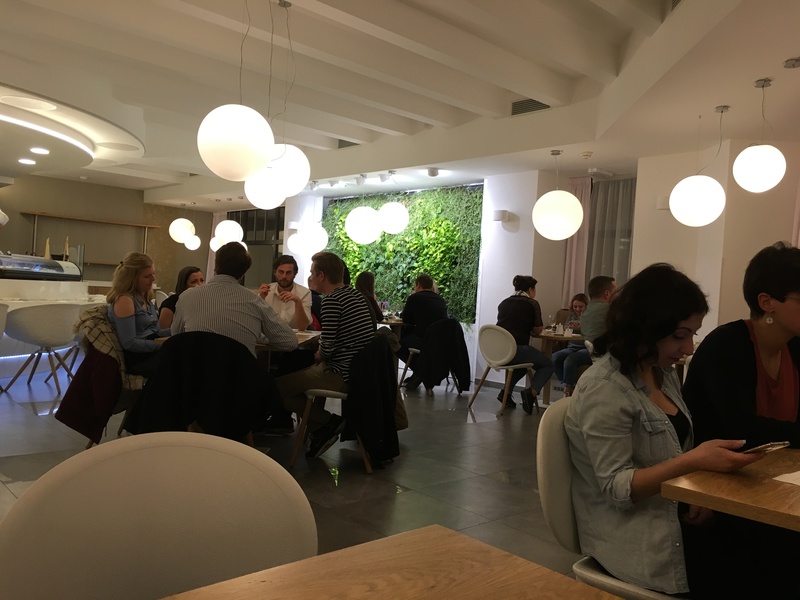 Sushi Maru has achieved some good feedback on Trip Advisor since it opened in September 2016. The place is in tourist central and that was the main reason we didn’t visit earlier, well that and a new-found snobbery about Japanese food since our visit to Japan last year. We decided to visit Saturday 29th April and booked a table for two. 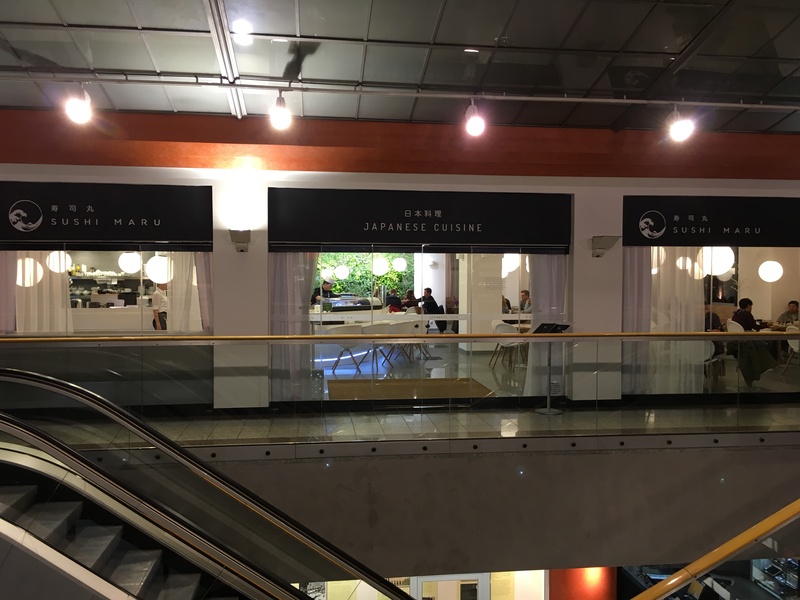 It’s pretty easy to find Sushi Maro, bottom of Wenceslas Square (Václavské náměstí), into the Palác Koruna passage, up the escalator and you’ll see the entrance. The waitress was friendly and showed us to a table. The interior is bright and modern, it’s functional rather than romantic. We were brought hot towels. Main courses also include miso soup and salad. You may ask why we didn’t order sushi? Well for me, I’ve been to plenty of buffets and events where there is an abundance of sushi and I’ve started to see it as a free canapé rather than something I order in a restaurant – plus they had dim sum and they are my favourite starter. Saying that, when we visited the Tsukiji Fish Market in Tokyo, I had the best sushi ever and maybe I should have tried here. Past experiences, particularly in Korean restaurants, meant that we were aware of the ‘deliver all courses at once’ culture. However, the Sushi Maru menu is divided into appetizers, entrees and desserts, so we thought we’d be safe. The miso soup and salad arrived first and we half-expected that. The miso soup was perfect – salad was fresh and nice. The Kimchi was authentic and a good size portion. The tempura shrimps (4) arrived – delicious. Soon after, the dim sum (2 x5) and I was disappointed to see them served just on a plate, rather than in one of those round bamboo steamers. The dim sum were really disappointing, bland and without a fresh-made taste. We were only half way through our starters when the waitress brought the main courses. We asked that these go back and be kept warm under heat lamps, or in a low oven for five or ten minutes. The Korean Bul Go Gi, like the kimchi, was authentic and a good size portion. The salmon with wasabi mash was perfectly fine, but not anything amazing – one of those dishes that sounds better on the menu than the reality. 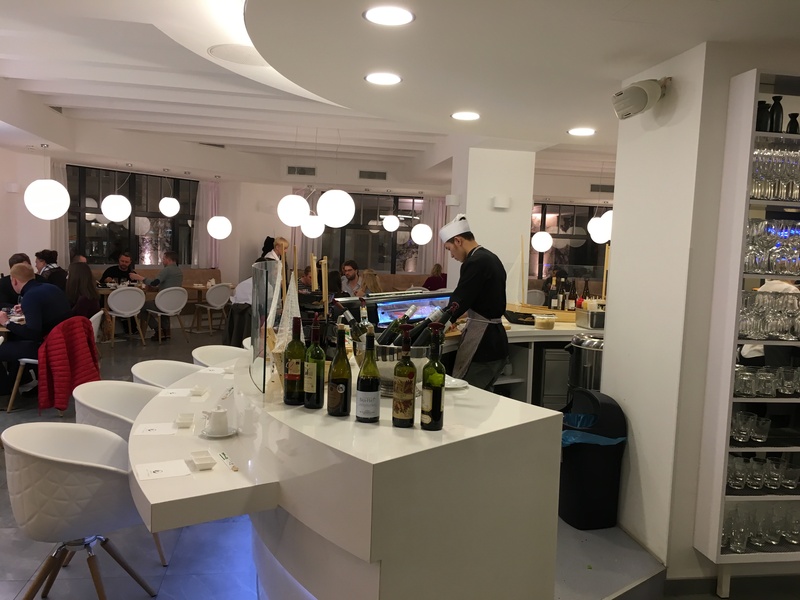 The atmosphere of the restaurant was more tourist café than fine dining – and that’s just down to the location, as random collections of tourists, (group of teenagers, lady shoppers, couples on a weekend break) wander in. The bathroom was clean and had both paper towels and a Dyson air blade dryer. We were too full to consider pudding and paid the bill in cash: 1520Kc plus tip. So a mixed experience. The chef clearly knows his stuff – well except the Shumai dim sum which may have been bought in. I’d be tempted to return during the week for lunch rather than return for dinner. The prices are good considering the location. If you do decide to go for dinner, don’t order your main course until you’ve eaten your starters!